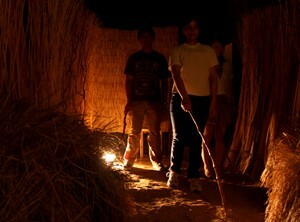 Participants are led through an African village, in total darkness, by guides who are themselves blind. 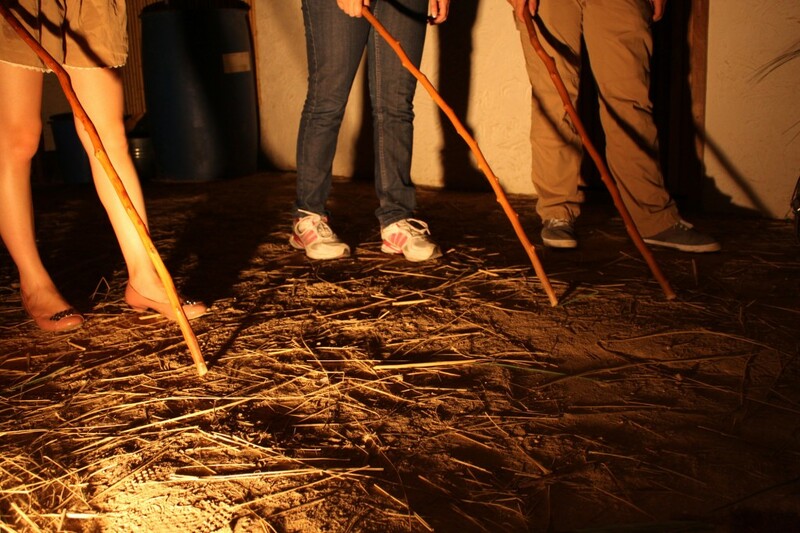 Without sight, participants will learn to navigate using sound, touch and scent, and are invited to experience the creativity and extraordinary capabilities of the visually impaired. The Blind X-perience is also available as a stand-alone programme. In this case, kindly factor in an hour only for the simulation component in the sample schedules above. Suggested Group Size: We tend to suggest a minimum number of participants of 8 and a maximum of 40. It is, on occasion, possible to combine with other groups in order to participate. “Blind and sighted people can work together, to help the world and to participate in change.” Ming has been a guide in our Blind X-perience since 2012, helping people step into the shoes of those without sight in places of poverty. Watch the video below! So You’ve Done Blind X-perience… What Next? Today there are over 250 million people in the world who are blind or visually impaired. But almost 75% of all visual impairment can be prevented or treated. Many people stay needlessly blind because they live in poverty. In developing countries, blindness denies people education, independence and the ability to work- things which can break the poverty cycle. Eliminating avoidable blindness is one of the most cost effective ways of fighting poverty. In economic terms, every $1 invested in blindness prevention, more than $4 is returned in economic terms. Shipments: We regularly ship to groups around the world that help care for people in need including the visually impaired. You would be welcome to help sponsor the costs of such a shipment. Please contact our team at enquiries@crossroads.org.hk for more information. Blind X-perience: You may like to be an ambassador for the Blind X-perience itself and tell others about this opportunity to X-perience the creativity and extraordinary capabilities of the visually impaired. A booking can be made by clicking here www.crossroads.org.hk/global-x-perience/booking-enquiry-form/. The Hong Kong Society for the Blind (HKSB) is the principal government-subsidised, voluntary organisation in Hong Kong providing comprehensive services for the blind and visually impaired population. In recent years, the Society has provided comprehensive education, rehabilitation, vocational training and medical, social and residential services to visually impaired clients in Hong Kong. Browse http://www.hksb.org.hk/ to see how you can offer support. Be My Eyes is an app where sighted volunteers help in tasks that enable blind and low-vision people lead more independent lives. A blind or visually impaired person may need help with anything from checking expiry dates, distinguishing colors, reading instructions or navigating new surroundings and you can offer assistance through the app. As a sighted volunteer you can help by just installing the Be My Eyes app. (Any product names, logos, brands, and other trademarks or images featured or referred to within the Crossroads website (https://www.crossroads.org.hk/) and/or on any social media forum are the property of their respective trademark holders. These trademark holders are not affiliated with Crossroads Foundation or its website. These trademark holders do not sponsor or endorse Crossroads Foundation or any of its products or comments.